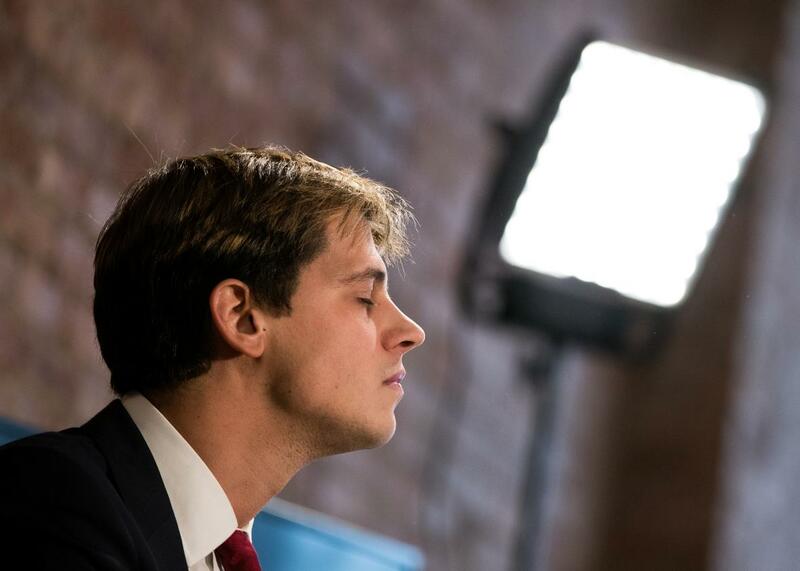 Milo Yiannopoulos’ self-published book topped Amazon’s best-seller list. Milo Yiannopoulos’ Self-Published Book Is an Amazon Best-Seller. So Much for Free-Speech Martyrdom. This is not the face of a free speech martyr. Former Breitbart editor and discarded troll Milo Yiannopoulos is now self-publishing his book, Dangerous, after his controversial book deal with Simon & Schuster was canceled eariler this year. While Simon & Schuster had previously defended the decision to publish Yiannopoulos’ book and pay him a whopping $250,000, the publisher finally dropped the British provocateur, already famous for stirring up hatred against women, people of color, and trans people, after video of him apparently condoning pedophilia surfaced in February. This also resulted in his resignation from Breitbart and the revocation of his invitation to speak at CPAC. Now, Dangerous is available for preorder on Amazon, where it held the No. 1 spot for a couple of hours on Tuesday. From the looks of it, Yiannopoulos’ book, self-published or otherwise, is pretty much as transparently and desperately provocative as everything else he says and does. For one thing, this is the book’s actual description on Amazon: “The liberal media machine did everything they could to keep this book out of your hands. Now, finally, Dangerous, the most controversial book of the decade, is tearing down safe spaces everywhere.” Blurbs include the infinite wisdom of Ann Coulter (“Fat people will hate this book”), criticism from lefties Sarah Silverman and Stephen Fry, and a quote from Peter Thiel, a notable advocate for free speech—oh, wait, no, he’s the billionaire who funded lawsuits against a media organization because he didn’t like its coverage of him. You’ll also notice that Dangerous is listed under Humor, which is at least consistent with Yiannopoulos’ statement after leaving Breitbart: “I’m going to focus now on entertainment, on education, and less perhaps on journalism.” But hiding behind the title of “entertainer” hasn’t helped Yiannopoulos in the past. As much as he and his defenders like to position him as a martyr for freedom of speech, denying someone a lucrative book deal isn’t censorship, and it’s telling that despite his confidence that another publisher would pick up the book, he wound up publishing Dangerous himself. Dangerous briefly overtook graduation-gift favorite Oh, the Places You’ll Go for the No. 1 spot on Amazon’s best-seller list on Tuesday, although it is now back at No. 2. Yiannopoulos’ book will be released July 4, because of course it will.